Who do you have representing your interest? We are the Policy Holders Advocate! 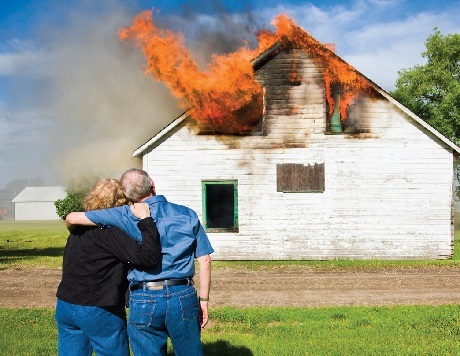 If you’ve suffered a property loss at your home or business, do you know what your insurance claim is really worth? You’re entitled to a fair recovery from your insurance company. But getting the maximum settlement, enough to rebuild or replace your damaged property, isn’t always easy. The way you handle the claim can greatly affect the amount of your settlement. Commonwealth Adjusters is a team of seasoned public insurance adjusters licensed in Pennsylvania and New Jersey, who have represented policy holders like you since 1964. Our mission is to assist insureds in the complex task of preparing, presenting, and negotiating insurance claims on their behalf in order that you receive the maximum insurance recovery. Do you know what your insurance claim is really worth? Your insurance carrier has adjusters who adjust claims on a daily basis and are always looking out and protecting the interest of the insurance company. By engaging the services of Commonwealth Adjusters, it levels the playing field, putting a professional with the knowledge and expertise of evaluating damages and understanding policy language on your side. Public Adjusters are the only type of claims adjusters that can legally represent the rights of an insured during an insurance claims process. Statistics show that claims prepared by Commonwealth Adjusters settle substantially higher than those handled by policy holders themselves. We’re proficient in handling all types of residential and commercial property insurance claims including loss by fire, lightning, flood, windstorm, hail, smoke, vehicle damage, vandalism, malicious mischief, theft and more. Whether you’ve already contacted your insurance company or have yet to file a claim, we can help you obtain the best possible settlement. Contact us today for your FREE, no-obligation consultation.